The Ministry of Energy and Water, and The Ministry of Environment, in cooperation with the Lebanese Center for Energy Conservation,the UNDP CEDRO Project, BirdLife International and SPNL have cooperated towards the organization of a national workshop on wind energy development and migratory soaring bird on Monday 8 April 2013. SPNL contribution to the workshop concentrated on highlighting the importance of Lebanon for birds & MSBs in specific. BirdLife representative provided an overview on the guidelines for wind energy development, and suggested mitigation measures. Further, an expert from STRIX Portuguesecompany presented their Radar invention that can detect MSB movements which would help as a tested mitigation measures in sensitive regions. 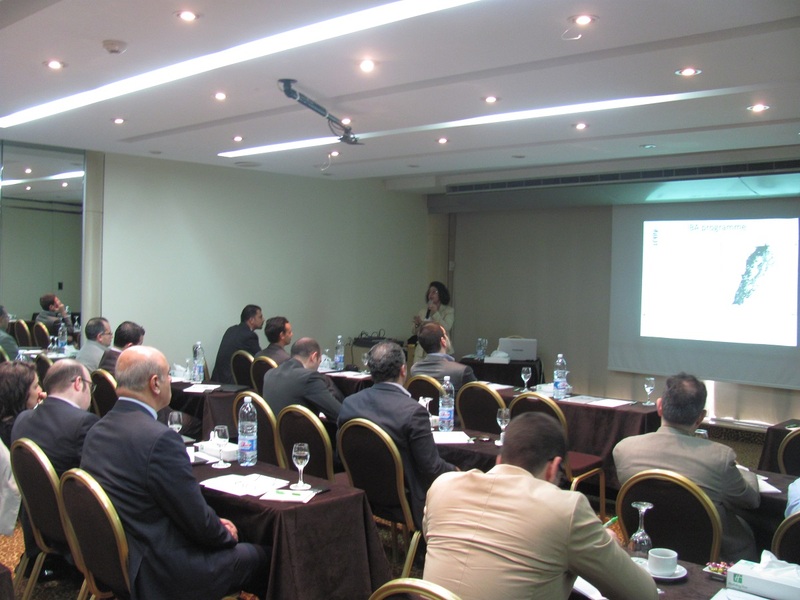 The workshop was attended by more than 40 people representing wind farm developers & consultancy agencies involved in the bids for establishing wind farms in Upper Akkar. They were convinced at the end of the workshop of the importance of MSBs, and the need for SEA and EIA studies before implementation.